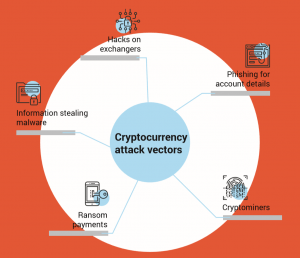 Japanese cryptocurrency exchange Zaif has become another exchange this year to fall victim to a hack – with criminals making off with some 6.7 billion yen (USD 59.7 million) worth of tokens. 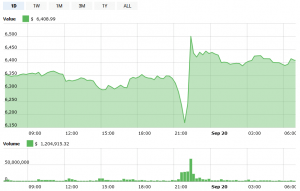 At 2:15 AM on the morning of September 20, the company issued an official statement, admitting that hackers had compromised the company’s network from between 5 AM and 7 AM on September 14. The criminals were able to access users’ Bitcoin, Monacoin and Bitcoin Cash hot wallets, making away with a total of 4.5 billion yen (USD 40 million). 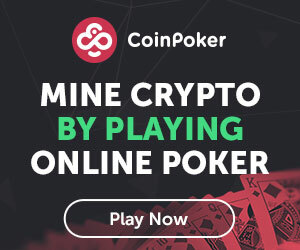 The majority of the losses appear to have been in Bitcoin, with 5,966 BTC stolen, although the company says it is still investigating the scale of the losses. The hackers also made off with 2.2 billion yen (USD 19.6 million) worth of company assets. Zaif’s parent company, Tech Bureau, says it will receive USD 44.5 million worth of funding from the JASDAQ-listed Fisco Digital Asset Group in an attempt to repair the damage, and says it has been in constant contact with regulatory authorities over the matter. Tech Bureau also stated it was enlisting the help of CAICA, a system development and software company. The latter will help the company bolster its security network in the wake of the attack, says Tech Bureau. A screenshot of the Zaif's website. 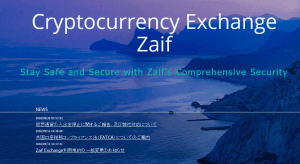 Zaif initially claimed the issue would be resolved within “1-2 working days.” However, the exchange later followed up by announcing it was suspending transactions for eight other tokens (its own Zaif token, as well as XCP, BCY, SJCX, FSCC, PEPECASH, CICC and NCXC). Tech Bureau’s security network has been called into question in previous months. Earlier this year, the regulatory Financial Services Agency hit Tech Bureau with a business improvement order – insisting that key changes be made to the way the platforms operates. Earlier this year, Zaif rival Coincheck was hacked to the tune of USD 400 million, leading to an upheaval in the Japanese cryptocurrency industry. Source: 2018 Internet Organised Crime Threat Assessment by Europol.